Bike Fitting Bike Assembly Brooks Saddle Repair Classes Conversions Disc Brakes Internally Gear Hubs Labor Rates Layaways Library New Bike Overhauls Painting Refills Rental Repair Standards Specialty Services Suspension Tune-Ups Wheel Building Wheelchair Workbench Rental What else can we fix? Think bicycling is dangerous? Think again! No matter how you look at the statistics bicycling is safe. Even the worst view pegs bicycling as safe as riding in or driving a car. People feel safe in cars, yet fear riding. Obey the rules of the road, be predictable and you will be very safe. Finally when you consider the health benefits, cycling becomes even more attractive. 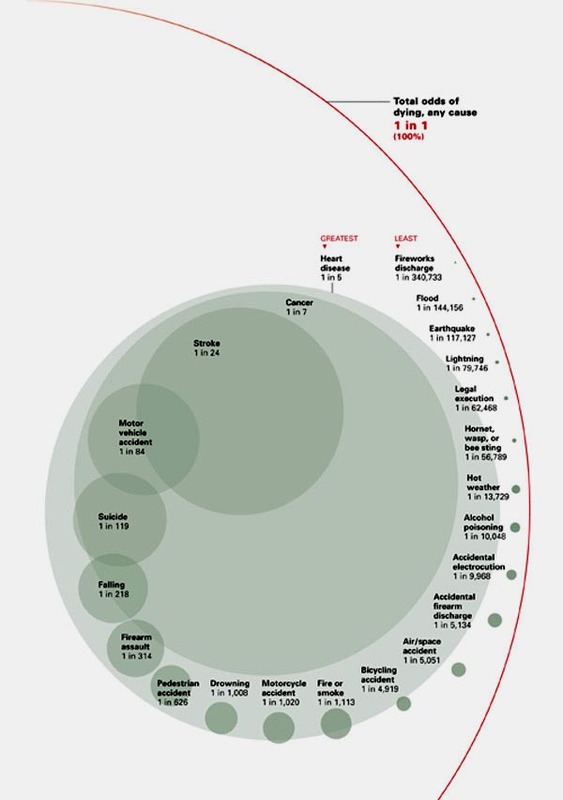 Odds of dying from various causes.